Filmmakers of all merits will surely shine bright during this month’s anticipated Oscar ceremony, but there are certain actors, directors and movies that are already truly standing out amongst their competitors. The 91st Academy Award show, which is set to air live on Sunday, February 24 on ABC from the Dolby Theatre in Los Angeles, is Hollywood’s highest recognition of excellence in cinematic achievement from 2018. There are several films that critics are buzzing about this Oscar season, which are leading the odds for Best Picture, Best Actor, Best Actress and Best Director. With just a few short weeks left until the 2019 Academy Award ceremony, ‘Roma’ has replaced ‘A Star is Born’ to be the top contender to win Best Picture. As can be seen in the chart on this page, ‘Roma’s odds have gotten better over time, while ‘A Star is Born’s odds have been getting worse since the end of December. Writer-director Alfonso Cuarón’s Netflix drama has already won such accolades as Best Foreign Language Film at this year’s Golden Globe Awards, Best Film from the Los Angeles Film Critics Association and Best Picture at the Critics’ Choice Movie Awards. After the nominations became official on January 22, the Oscars, which is the pinnacle of award season for most filmmakers, critics, fans and the overall film industry, the Best Picture top contender odds has become a highly debated and discussed topic. While ‘A Star is Born’ has found great success at the box office, earning $417.5 million since its October 5 theatrical release, fan popularity has not always guaranteed an Academy Award win. Co-writer-director Bradley Cooper’s musical romantic drama has steep competition, particularly from Cuarón’s semi-autobiographical, international hit, which has the shortest odds of winning. ‘Roma’ could make history as the first streaming-service produced film to win an Academy Award. 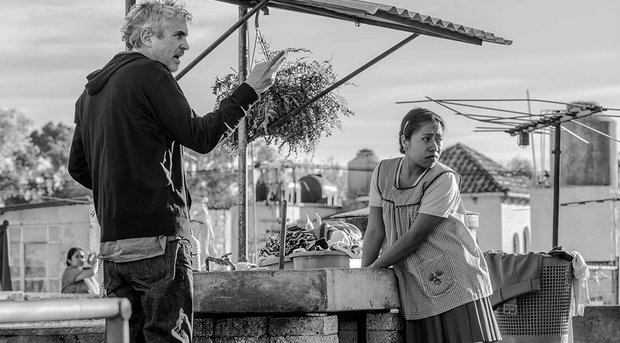 Cuarón also quickly became the favorite to win in the Best Director category since November, when ‘Roma’ began its limited theatrical Oscar-qualifying run in the United States, before it began streaming on Netflix in December. He previously won the Best Director honors at the Golden Globe Awards and Critics’ Choice Movie Awards ceremonies last month. Another highly anticipated and debated Academy Award category is for Best Actor. Christian Bale has recently edged Rami Malek off the leading edge since this year’s Oscars nominations, but the race is still tight between the two transformative roles that are based on real people. In the Best Actress category for this year’s Academy Award ceremony, Glenn Close has emerged as the favorite to win, after she was awarded with Best Actress – Motion Picture Drama honor at the Golden Globes for her role in ‘The Wife.’ The Emmy and Tony Award-winner has been nominated for seven Oscars throughout her career, but has yet to win. Close was also honored with an Outstanding Female Actor in a Leading Role SAG Award, as well as the Critics’ Choice Movie Award for Best Actress, for which she tied with Lady Gaga, who was recognized for her role in ‘A Star Is Born.’ The Grammy Award-winning singer and up-and-coming actress is considered to be one of Close’s biggest competitors in the Best Actress Academy Award race.